All our partner sites are independently reviewed by our team of industry experts. We examine 10 different criteria and award a score out of 10 for each, adding up to a final mark out of 100. You can read a full description of our Grand Ivy Casino review process here. Grand Ivy Casino received a score of 91/100. 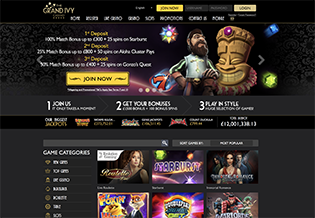 The Grand Ivy is an elegantly crafted online casino that oozes sophistication. 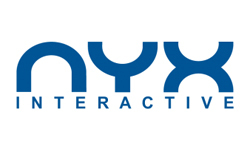 Since launching in 2016, it’s quickly built up a reputation as a fair, fun, and safe place to play first-class games from both small and large software suppliers, including Thunderkick, NYX Interactive, NetEnt, and Quickspin. The Grand Ivy is operated by the same company as Spin Station, Hello Casino, and Spinland (Imperium Network Solutions Limited), but only the Ivy boasts the glamorous good looks that are reminiscent of the world’s most prestigious land-based casinos. 24/7 support is on hand for all players, and VIPs are treated to an enhanced gaming experience through personalised gifts, exclusive bonuses, and their own private VIP host. Even the promotions at this casino are as prestigious as its name, with The Grand Ivy Tour prize draw awarding one lucky member a brand-new Mercedes-Benz SLC every single month. This is one of our best new casinos uk. You can join right now, or read on for our full Grand Ivy Casino review. The Grand Ivy offers a generous three-part welcome package to its new players. 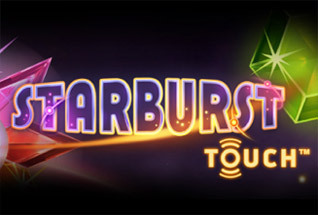 You can enjoy a 100% bonus of up to £300 plus 25 free spins on Starburst on your first deposit, a 25% bonus of up to £800 plus 50 free spins on Aloha Cluster Pays on your second deposit, and a 50% bonus of up to £400 plus 25 free spins on Gonzo’s Quest on your third deposit. In addition to this hat-trick of introductory offers, you also gain 500 loyalty points to help get you started in the site’s loyalty programme. Bonus money is redeemable after meeting a 35x wagering requirement which must also be met before you can withdraw any associated winnings. The Grand Ivy stocks slots, card games, table games, live casino games, scratch cards, video poker, and casual games by Aristocrat, Microgaming, NetEnt, Evolution Gaming, 1x2 Gaming, Amaya, Blueprint Gaming, NextGen, Elk Studios, Games Warehouse, Genesis, Leander, Lightning Box Games, 2x2 Gaming, Merkur, Quickspin, Thunderkick, and White Hat Gaming. The slots include Flame Busters, Forbidden Throne, Starlight Kiss, and Retro Reels Extreme Heat while the jackpot slots range from The Pig Wizard and Genie Jackpots to Mega Moolah and Divine Fortune. You can also enjoy all manner of card and table games, including Oasis Poker, Baccarat Pro, Classic Blackjack Gold, and American Roulette. 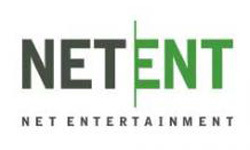 At the time of writing, you can choose from twelve live dealer games, which are provided by Evolution Gaming and NetEnt. The options are Live Roulette, Live Blackjack, Automatic Roulette, Caribbean Stud Poker, Ultimate Texas Hold’em, Live Common Draw Blackjack, VIP Roulette, Three Card Poker, Casino Hold’em, Live Baccarat, and Live Blackjack. The Grand Ivy Tour is undoubtedly the most popular promotion at the casino. Each month, it enters all members with at least 1,000 Ivy Points into its monthly Mercedes-Benz SLC prize draw. There’s also a Smoking Blackjack Tournament on the 21st of every month where anyone who gets Blackjack while playing Live Blackjack is entered into a draw for a chance to win a share of £2,100. Plus, each week there’s a £100,000 High Roller Tournament that you can enter by earning points while playing any Microgaming games. The VIP Lounge offers loyal VIP players four exclusive VIP packages, which include perks such as seasonal loyalty gifts, cashback, birthday cash bonuses, a personal VIP account manager, same day withdrawals, private tournaments, and invitations to VIP holidays and events. Customer support is available 24 hours a day, 7 days a week via live chat or email. Grand Ivy Casino accepts all major payment methods including Sofort, Paysafecard, MasterCard, Visa, Bank Transfer, iDEAL, Skrill, Dotpay, Giropay, Trustly, and Neteller. You can deposit a minimum of £20 per transaction, and withdraw a minimum of £30 per transaction. Withdrawal requests are usually processed within 24 hours. The Grand Ivy has a simple design menu system and a sophisticated appearance due to its black, white, and gold colour scheme, and advertising banners that feature couples in tuxedos and cocktail dresses playing in a high-class casino, and attractive female live dealers. 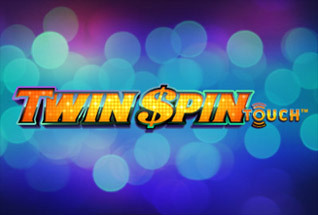 The welcome offer is clearly displayed near the top of the homepage, along with information regarding the latest games and the site’s award-winning Evolution live casino. There’s also an up-to-date list of the biggest progressive jackpots, and the games lobby which you can sort by Most Popular, Most Recent, and A to Z. A handy Live Chat quick launch button is attached to the right-hand side of the website, and eye-catching yellow buttons invite newcomers to “Join Now”. As the Mobile page explains, you can play many of your favourite desktop slots and casino games on your smartphone or tablet by entering your mobile phone number into the box provided and clicking the link that’s subsequently sent to you via an SMS. Alternatively, you can visit the Grand Ivy website in your mobile web browser. 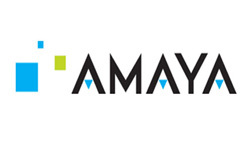 Grand Ivy is regulated and licensed by the UK Gambling Commission, and is also certified by GamCare. An HTTPS secure URL is used throughout the website and an SSL Digital Encryption certificate from GeoTrust protects all secure data and financial transactions. 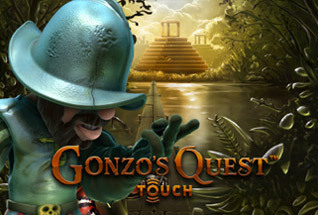 A Random Number Generator (RNG) ensures that the games provide fair and random results.